This is a recipe I got many years ago from a good friend, Kathi. It's definitely a crowd pleaser. and keeps well in the fridge for days if you do not have a crowd to please. Oh, and it freezes well. Yields approx 36 bars. Bring butter, cocoa and milk to a boil, then reomove from element. Cool before cutting up. Keep in fridge, especially on hot days. I have a similar recipe, without the nuts. Unfortunately, I don't have any large, deep cookie sheets! But it looks so good! Bar or sheet cookies are my favorite to make because they are quick and easy.Thanks for the recipe. I LOVE this cake...so glad you posted the recipe. You are the most ultimate person I know. This is the first blog I check every single day. I love your recipes. They remind me of my childhood and of my mom's cooking. I am of Ukrainian heritage and love food. Many of your recipes my mom had similar versions of. 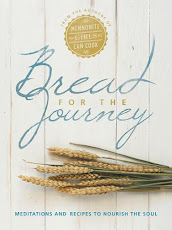 Keep up the awesome work and thank you for such a great job and great recipes...I could eat them off the page. we have 'camp meeting' coming up in about two weeks...the kids will LOVE this...thx 4 sharing! I made these this morning and they look yummy! Easy to make! Thanks for the recipe! Great recipe...aside from the nuts I can easily make it allergen free for my kiddos! An easy and decadent looking recipe. I may make this for the next pot luck I attend. IMHO this is better than any brownie mix on the shelf! These are always the staples that we need to hear about. Like you said, if you don't have a crowd, it stores perfectly. Thanks for a great idea for the World Cup. I'll be throwing out all my other brownie recipes. This is the best ever. A beautiful large cookie sheet..I ate almost half of it already. Thanks for sharing this recipe. Around my house, this recipe was known as "Aunt Jennie's Fudge Cake". Now I know it as "Texas Sheet Cake". I had for almost every birthday while living at home. It's a sure-fire hit every time I take it to a church pot luck or work get together. Please use buttermilk; it just doesn't taste right if you substitute milk with vinegar in it for the buttermilk. It also tastes great with a bit of cinnamon thrown in the batter or the icing. Enjoy! Thanks for another great recipe. I made this one today and plan to take it to my ladies bible study group this week. It is so yummy. So glad I found you guys! I love this recipe--have used it for years--I always line my cookie sheet with waxed paper for easy clean up and leave out the nuts! Does if freeze well even after icing? No problem with freezing. Allow frosting to dry - put them in the fridge for a few hours, uncovered and then cut into serving pieces and freeze so you can take out as needed. I'm wondering if this needs to be refrigerated or if it can be left out for 24 hours? I keep it refrigerated to keep the icing from getting too soft... that's all ... and it keeps fresh tasting a long time, maybe five days. It does not have to be refrigerated. This was a big hit at the seniors coffee fellowship hour at our church! I was short on icing sugar so just sifted the cup of icing sugar on top (while bars were warm) and it worked. Thanks for a quick to make recipe! Made this last night for a bbq. It was the first dessert to go. Will definitely keep this one in my repertoire. Thank you for sharing. Thank you for this wonderful recipe. I made it a year ago for the first time as was shown to me by a Mennonite friend. Ever since I have come again to your site and found many wonderful recipes. 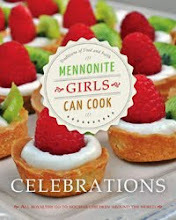 I have been married for a year and a half now and hardly knew how to cook when I first got married so your site really helped to teach me some things especially since I am not Mennonite and my husband is, I can still make him some delicious Mennonite meals sometimes. Thank you again and blessings to you! Thank you, Celina. 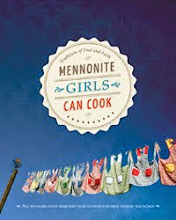 Cooking Mennonite or non Mennonite food, it's good to hear that you have been encouraged with recipes that have turned out well! We love to hear this!